If you would like to give online via Paypal, simply click on a name below and enter your information. 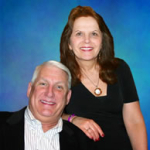 Bruce and Johnye Lynn Harpel are the senior leaders of Maranatha Christian Church. The have been leading young people since 1979. They are the parents of 5 wonderful children and the grandparents of 18 grandchildren. They love all of the excitement and joy that overflows in the events and social life of a young and vibrant church. Maranatha Christian Church is an independent, Spirit filled, historically creedal Christian Church that started at the University of Minnesota in 1981. It strives to be a “Lighthouse of Faith” in the middle of one of the largest secular university communities in North America. The church is anchored in a 15-bedroom campus house, which serves as housing and meeting space for students, internationals, and young adults year around. 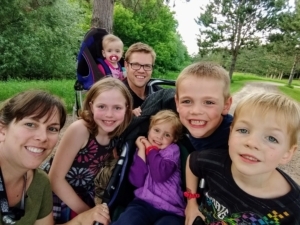 Johnathan and Heather Bislew serve as the senior pastors of Maranatha Campus Church at Minnesota State University, Mankato. Johnathan encountered the Lord Jesus Christ at the University of Wisconsin Stout where he attended college and was gloriously saved out of a life of alcoholism in 1986. In 1989, Johnathan joined the staff of Maranatha Christian Church at the University of Minnesota where he faithfully served as a campus evangelist for 19 years and an associate pastor for 16 years. Johnathan met his wonderful wife Heather while he was pastoring at Maranatha Christian Church in Minneapolis and Heather was teaching at the University of Minnesota in the College of Pharmacy. 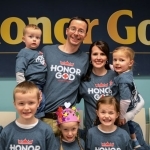 They have seven amazing children whom they home-school and strive to raise with a biblical worldview. Jesu Cristo es el Senor de la Universidad de Costa Rica! Scott and Tricia Leisner are missionaries to Costa Rica sent out by Maranatha Christian Church. Scott has been in Costa Rica for 17 years, and Tricia joined him 5 years ago. They have had a campus house and church in San Pedro (San Jose, Costa Rica) since the year 2000. 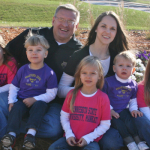 Now, they minister together, along with their three children, to both students and professionals on campus and in the campus house where they live. Their ministry begins on the home front raising their family in the university city and reaches the campus through individual and in group evangelism using questionnaires and Bible studies. The church, Comunidad Cristiana Maranatha, meets twice a week with outreach to the community before church on Saturdays by opening JC Café. Parnell & Becky Mahoney have been involved with Maranatha since we were students at the University of Minnesota, and have been on staff since 2008. Parnell grew up in California in a secular home and and Becky is a Minnesota girl raised in a Christian home. The Lord used this church to win and train Parnell and to bring Becky deeper in her Christian walk. In following Jesus we independently decided against dating and were waiting for God’s direction for a mate. He brought us together in 2002 and we think it’s a match made in heaven. 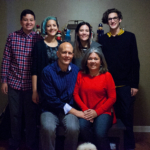 We have five great kids that we homeschool, Becky enjoys writing and singing worship songs, and Parnell enjoys chronicling testimonies of what God is doing. We love seeing students come alive in intimate experience with Jesus Christ, showing hospitality, and adventure in the outdoors. 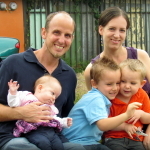 Peter & Amber Peterson are key players in the international student outreach (ISO) at Maranatha. Pete began attending Maranatha during his freshman year in college 16 years ago. Amber, as one of the senior pastor’s five children, has been attending Maranatha her whole life. They were married in 2005 and currently have six adorable children. Their family’s vision is to serve as many international and college students as we can, in order to share the love of Jesus, and bring glory to God in doing so. International Student Outreach (ISO) exists to help create a friendly atmosphere for international students at local universities, helping them in whatever area they are in need during their time in the US. Most of all, ISO exists to show the love of Jesus Christ to people from all nations! ISO is based at the University of Minnesota, Twin Cities campus. We currently have another ISO group in Mankato, MN at Minnesota State University. We hope to have other ISO groups at various colleges and universities throughout the USA in the future. Phillip and Edith Steele have been doing ministry in Latin America for over thirty years. They currently live in Nashville, Tennessee and travel to Latin America frequently, as they oversee churches and campus ministries. Their desire is to win the lost, make disciples, train leaders, and strengthen pastors. Phillip currently represents Latin America on the International Apostolic Team for Every Nation Churches and Ministries.